Peter M. Young is a shareholder with Habush Habush & Rottier, S.C. and practices in the Wausau, Rhinelander, and Stevens Point offices. He has tried cases throughout Wisconsin and has been admitted pro hac vice in cases in California, Colorado, Illinois, Minnesota, Michigan, Nebraska, and Washington. He attended the University of Wisconsin-Madison, where he earned degrees in Legal Studies and Political Science. 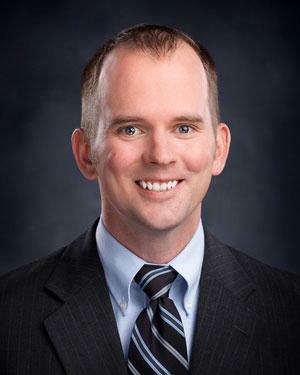 He earned his law degree from Marquette University Law School, and served as a Judicial Intern for the Honorable N. Patrick Crooks of the Wisconsin Supreme Court. Prior to becoming a lawyer, he started his legal career as a library clerk at Foley & Lardner’s Madison office. After graduating from the U.W., he worked for Kirkland & Ellis in Chicago, and provided on-site trial support during a five month jury trial in the U.S. District Court for the District of Colorado. During his first year of law school, he became a law clerk at Habush Habush & Rottier, S.C. in Milwaukee. After obtaining his law degree, he rose through the ranks from associate to partner. He is the immediate Past-President of the Oneida-Vilas-Forest County Bar Association. In 2013, then Chief Justice Abrahamson appointed him to the District 16 OLR Investigative Committee. In 2016, current Chief Justice Roggensack selected him to serve on the Supreme Court Appointment and Selection Committee. He has held various roles with WAJ over the years. He has served on the Board of Directors since 2012 and has been a member of the Amicus Curiae Committee since 2013, and has authored or co-authored several appellate briefs on behalf of WAJ. He was the Chair of the New Lawyers’ Section in 2012 and has presented numerous times at WAJ seminars, in addition to authoring and co-authoring articles for The Verdict. Mr. Young lives in Wausau with his wife and children. In his spare time, he volunteers as a certified Outdoor Emergency Care Technician for the National Ski Patrol, and enjoys participating in many outdoor activities. When it comes to golf, he is the worst.